My kids aren’t huge fans of flash cards. They also don’t learn well from long lists of words or information. So, I knew when it came to learning their states and capitals I needed to make it fun, colorful, and hands on. 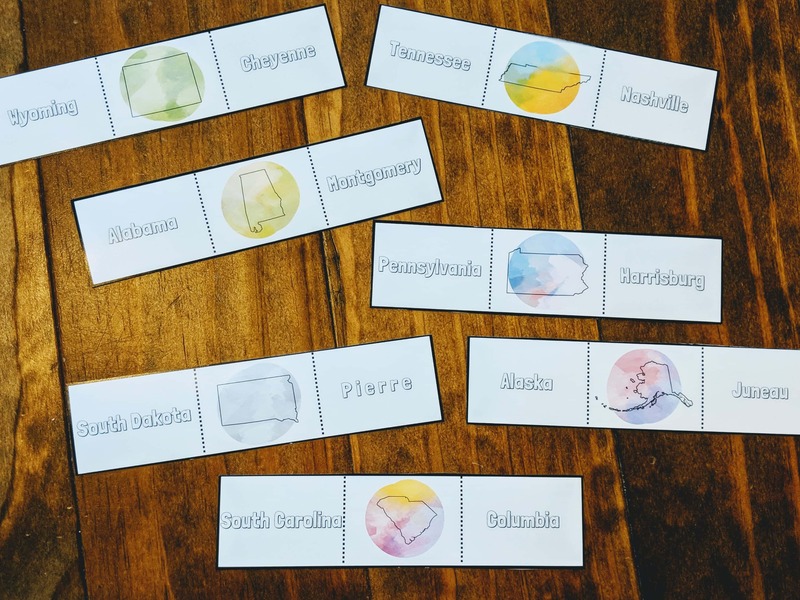 This free states and capitals printable is making learning something as dull as state names a little more fun. Each card has a colorful background to make them appealing. They also have letters that can be colored in. You can choose to use this states and capital printable a few ways. Okay, I just got done saying that my kids don’t like flashcards, but some kids thrive with them. You can easily use this printable as flash cards. Simply fold the state or capital of the card back and you’ve got yourself a flashcard. These cards were designed to be tri-folded so that kids can use them themselves for studying their states and capitals. 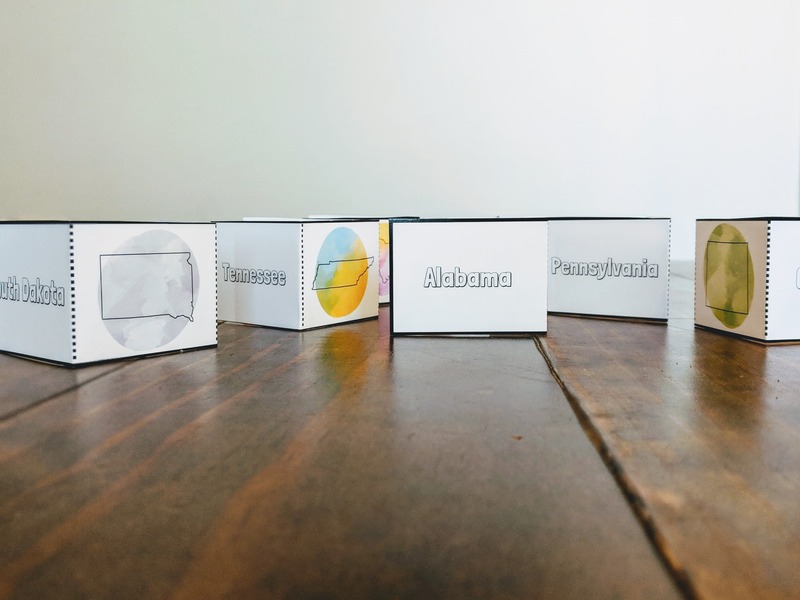 With the cards folded at the dotted lines, kids can choose to look at the state shape, state name, or capital name, and then say the names aloud before flipping to see if their answer is correct. It’s a super simple way of independent study, but it works! 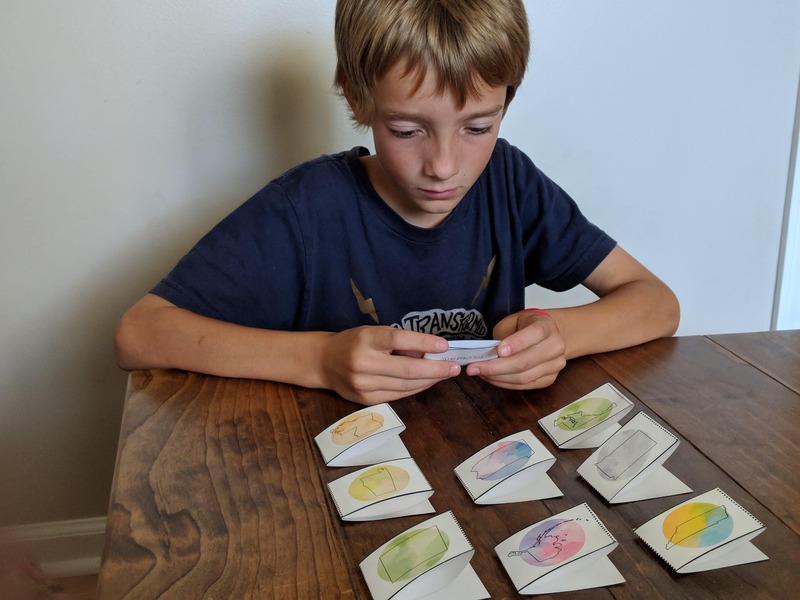 Another fun way kids can use these cards are as a memory game. When the cards are folded, your kids can choose if they’d like the state picture, state name, or capital name facing up. They can then say the name aloud of the corresponding answer, and flip the card to see if they got it correct. If they did, take the card away. If they didn’t, put the card back in it’s place- just like the memory game. Being able to use these cards in a number of ways is awesome because it keeps things fresh and let’s you use it however your child will thrive. I created these cards with my fifth grader in mind, but my first grader is already stealing them and trying them out! You can get your own copy of this free states and capitals printable right now! Just sign up below for my weekly homeschooling newsletter and it’ll come right to your inbox. Don’t you worry, I don’t even sell your info or send you spam. You’ll just get some awesome homeschooling info and more free printables from me! Share how you have added this to your own geography studies by joining my online homeschool community or in the comments below!